IT WAS good to recently catch up with our old mate Adam Barrett from Devonport when he rolled into Mood Food for a quick cuppa at Kempton driving an eye-catching Tas Trans 2004 Western Star Constellation with a 620 Signature Cummins up front. 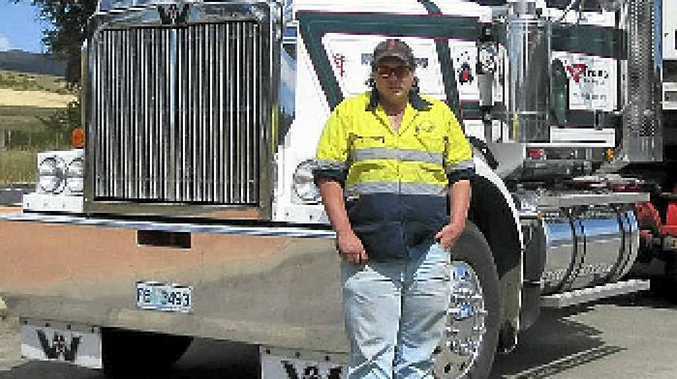 He was towing a fridge pan on his way from Hobart to Devonport at the time, and tells us that he has been with them for five months and that he finds them a great outfit and a good job all round. He was more than happy with the Star which had formerly been well cared for working logs for Lester Townshend.